Local resident Jim Elder was a staple at the Aurora Horse Show before and after his 1968 Olympic Gold Medal wins. 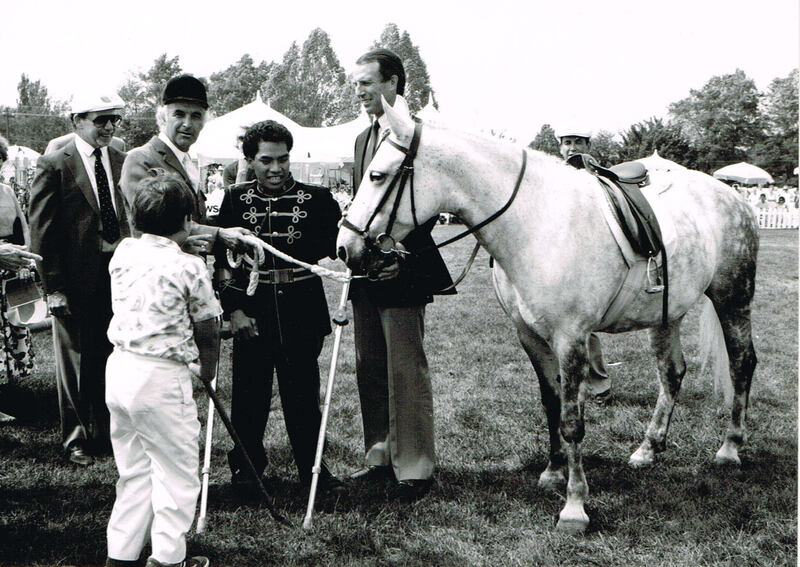 The 1969 Aurora Horse Show was also the homecoming welcome for Canada’s Gold Medal winning Equestrian Team comprising Jim Elder, Tom Gayford and Jim Day, all residents of the area. The team was fresh off their win from the Mexico City 1968 Summer Olympic Games where they earned Canada’s first gold medal in equestrian sports. Thousands of people filled Town Park to be part of the show and celebrate Canada’s Gold Medal Equestrian Team.